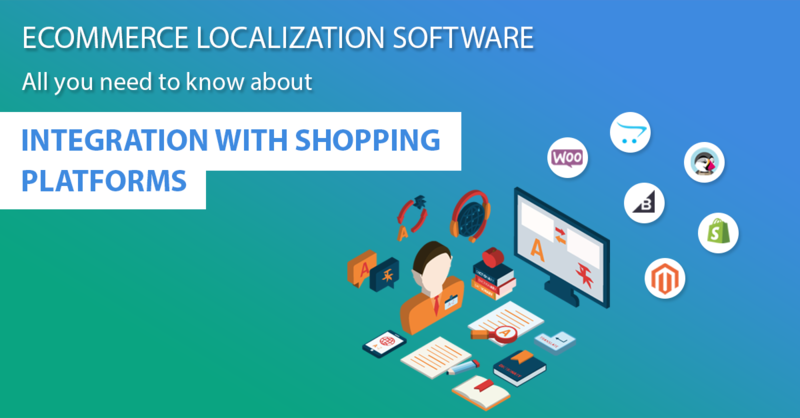 Localization software depends on integration with shopping carts to automate most of its operations: translating every single piece of content: product names, descriptions, categories, graphics; converting currencies; managing shipping and orders, etc. When building localization software, you need to ensure it can accurately retrieve, process, and add this information. This involves developing dozens of connections, including those with shopping platforms that merchants run their stores on. In the guide you will learn all about what it takes to make your eCommerce translation software to retrieve and add data from customers’ stores seamlessly (which are based on different shopping carts and marketplaces).